The outdoor world is full of mold. It’s a bit of the circle of life in that the mold breaks down the debris and waste of nature. Unfortunately for humans, mold doesn’t restrict itself to the outdoor world. It will grow virtually anywhere there is warmth and water. High humidity areas such as basements and bathrooms are the prime location for mold to invade. The mold growing in nature is of negligible risk to anyone’s health but indoor mold is something that should never be ignored. While the mold itself is not toxic; it creates “mycotoxins” which are hazardous to those who breathe them in or come in physical contact with them. The most commonly talked about indoor versions are white mold and black mold. Most molds have similar properties, black mold is often the one reported as the most harmful. Most healthy people do not show signs or symptoms when they are exposed to moldy conditions. Those that are most susceptible to the dangers of mold are young children, the elderly and anyone with a weak or compromised immune system. 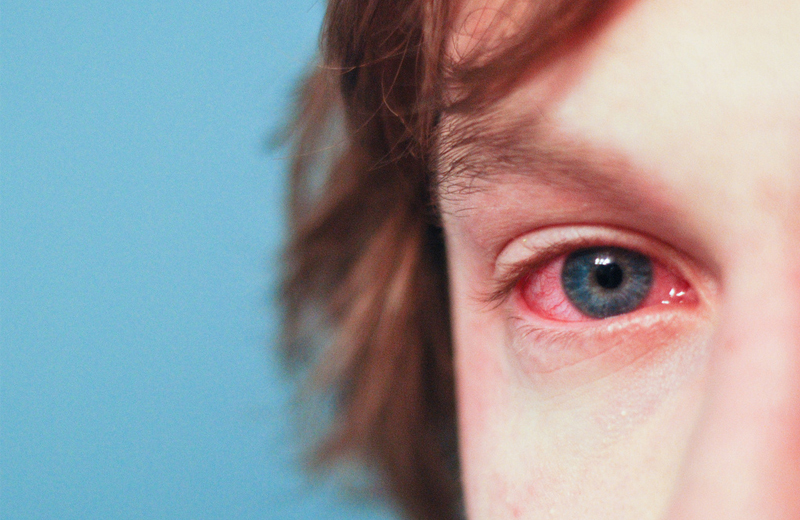 Symptoms may show up as allergies with coughing, itchy eyes, runny nose and sneezing. Sometimes flu-like symptoms will result, anything from sore throats and fatigue to severe headaches. Those with asthma can experience numerous asthma attacks brought on by exposure. Cancer patients, anyone with chronic lung issues, or weakened immune systems can end up with inflammation of the lungs (hypersensitivity pneumonitis). Infants can experience pulmonary hemorrhage or even Sudden Infant Death Syndrome. Mold dangers are not just limited to health issues. Fungus is designed by nature to break down the wastes and debris around it. Consider it the “trash man” of the natural world. If mold is growing inside your home or office then it is slowly destroying whatever it is growing on. Window sills, sheetrock, floor joists and any other part of the building are compromised when mold is allowed to continue to grow. Knowing that the dangers of mold can be mild to deadly, it is important that you know how to check for mold, and do so safely. Start by looking for visible mold growth. The most prominent places are those with high humidity or where water is visibly leaking. Try not to touch anything you think might be mold. 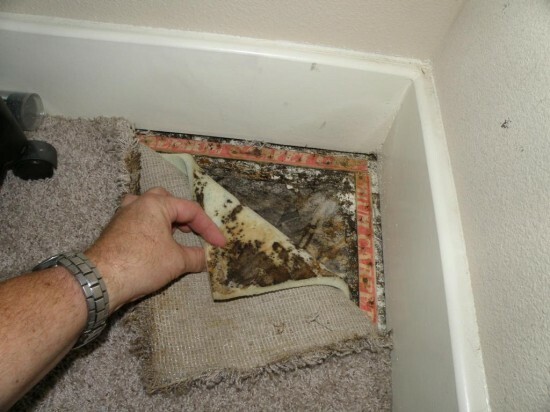 Another sign of possible hidden mold is a musty or moldy smell. If you accompany this smell with staining or dis-colorization of walls and/or the ceiling area (similar to a water stain with a brownish tinge) then it is highly possible you have hidden mold. One more location to check is any known part of your home or office that has had a water leak within the last few years, this is the perfect place for mold to grow undetected. If you believe that you have mold then do not try to clean it yourself. Mold issues, that may be small can quickly escalate when the spores are disturbed and become airborne all at once. Spores can enter your lungs and grow while being dispersed through the blood stream to other organs. Another reason you should not try to remediate mold yourself is that direct contact with pathogenic fungi can cause infections. Your best solution is to have mold testing performed through a professional certified company which will send the samples to a laboratory for accurate results. This can help determine whether or not there are harmful mycotoxins present, and how best to remove the mold. Do not wait until health issues worsen and have your property inspected and tested for mold. After all of the checking and testing the best choice in protecting yourself from the dangers of mold is to hire a certified mold remediation company. These specialists follow specific guidelines set forth by the EPA and CDC, and are vital in safely removing all potentially harmful “mycotoxins” and help prevent further growth. You will not have to worry about the health of your family, employees, or the potential damage to your home or office.